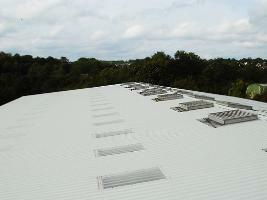 Entire unit refurbishment: Failing asbestos-cement roof, hazardous asbestos internal liner, failing brickwork & repaint. 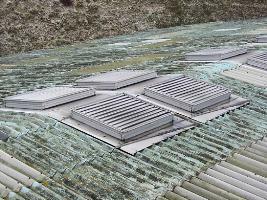 Roof refurbishment using a built-up system with man safe GRP rooflights. Internal liner replacement and brickwork painting.